The purpose of Lean is to create an ethos within a business which provides the greatest value for customers, while minimising input resources, time and effort. Lean practice is ideally combined with operational excellence, which enables management to strive for the overall improvement of all business practices. Through the practice of lean and operational excellence, your company can achieve a greater overall delivery of products and services, while minimising costs. 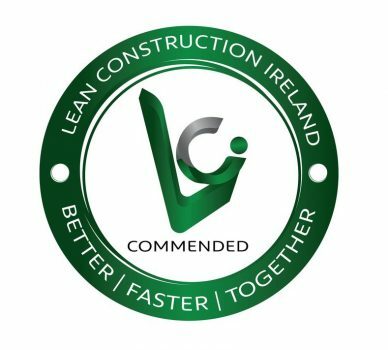 With over 20 years’ experience, Team BDS is one of Ireland’s leading experts in training and consultation for lean business practice. As no two businesses are the same, Team BDS approaches each company differently to develop the most effective solutions. We have worked with people at all levels of the organisational structure to implement lean and operational excellence. By taking this hands-on approach, our team of experienced and knowledgeable consultants work with companies to develop the most appropriate strategy for their business sector. Through our experience gained in all business sectors, including manufacturing, healthcare, construction and food & beverage, Team BDS use results-driven methods for lean and operational excellence to coach the key members of your organisation. Those selected will then, in turn, instruct their team members in how to adapt lean principles and practice for their department. We look at your organisational structure, your goals, what strategies you currently employ and the performance of the company. We also take into account the performance of your suppliers, hardware and software systems, and what resources are currently available to the company. By assessing your individual requirements, we then work closely with your team to identify areas for improvement and coach your management and employees in how to implement lean practices. Through ongoing training and development, your company can achieve operational excellence on a par with many of our clients. “We have worked with Team BDS on both Innovation and Lean Management Projects. We have always found that the consultants allocated to each project were not just extremely knowledgeable in their own specialist areas, but were experienced in a wide range of disciplines. They have a practical common sense approach to project management which looks at how a project will impact on every aspect of the business. They have helped Abcon in the development and management of the operation as we seek to re-orientate our business to become more export focused. We plan to continue availing of their support into the future.” – Barry Smith, Managing Director, Abcon Industrial Products. We would be delighted to discuss how we can help your business implement Lean and Operational excellence. Contact Us today to find out more.